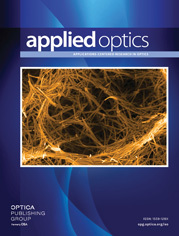 The authors are with the Division of Applied Physics, National Research Council, Ottawa. A spectroradiometer is described which is designed to make measurements of spectral radiance, irradiance, transmittance, and reflectance. In one minute the Hilger D300 monochromator is set to the next wavelength to be measured and a measurement is made of (a) the dark current of the photomultiplier, (b) the photocurrent produced by the reference source, (c) a voltage indicating the wavelength, and (d) the photocurrent produced by a test source. An integrating digital voltmeter with a 10-sec gate is used. The data are recorded on punched cards and analyzed by a digital computer. Experimental results are given to illustrate the performance. The applications described include calibration of standards of spectral radiance and irradiance from a blackbody at the freezing point of platinum and the developmet of a color temperature scale.